Chou Tien Chen won his third title of the year and Nozomi Okuhara her second as the VICTOR Korea Open 2018 concluded today in Seoul. Chou powered past Indonesia’s Tommy Sugiarto 21-13 21-16, dominating the 39-minute encounter from start to finish, and then dedicated the title to the earthquake-affected people of the Indonesian island of Sulawesi. Okuhara, whose sole title victory this year was in Thailand in July, had a harder battle on her hands against USA’s Beiwen Zhang. Zhang troubled the Japanese with her deception and athletic retrievals, and at 10-all in the third it looked like the match could swing either way. But after the last changeover Zhang struggled with the drift, with a number of her high shots going long. She recovered briefly to come to within a point at 14-15, but Okuhara fell back on her rock-steady game to put the issue beyond reach. 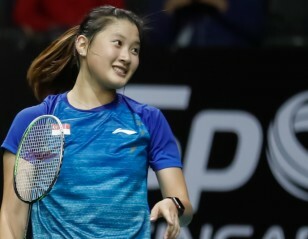 Okuhara, having played three events in three weeks – she was runner-up in Japan and semi-finalist in China last week – was relieved she could go home with a title. Japan’s Hiroyuki Endo finally won a major World Tour (formerly Superseries) event after failing in nine previous finals. Endo and Yuta Watanabe prevailed over compatriots Takuro Hoki/Yugo Kobayashi 9-21 21-15 21-10 in the longest final of the day at 55 minutes. 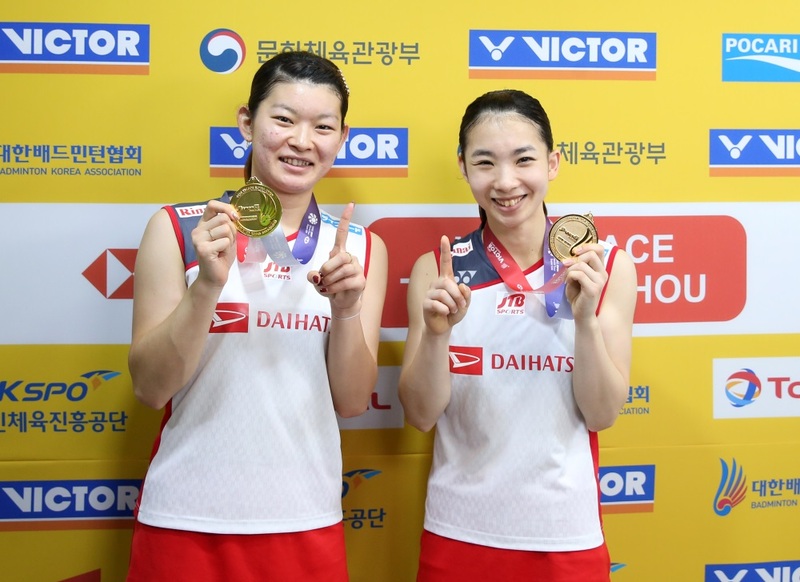 Japan also claimed the Women’s Doubles crown, with Misaki Matsutomo and Ayaka Takahashi completing their remarkable run this week following up on last week’s success in China. 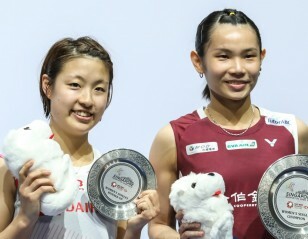 By beating Yuki Fukushima and Sayaka Hirota today, Matsutomo and Takahashi overcame three of their strongest compatriots – World champions Mayu Matsumoto/Wakana Nagahara in the quarter-finals, Dubai World Superseries champions Shiho Tanaka/Koharu Yonemoto in the semi-finals, and World No.1 pair Yuki Fukushima/Sayaka Hirota in the final. “It is special that we beat our three compatriots to win the title here, and I’m happy about that,” said Matsutomo. “We were disappointed when we lost in the first round of the Japan Open. We had to analyse where we went wrong in terms of technique and skills and we decided we had to win the China Open and Korea Open. We had a tough start in the tournament but we got better and better as the event progressed. 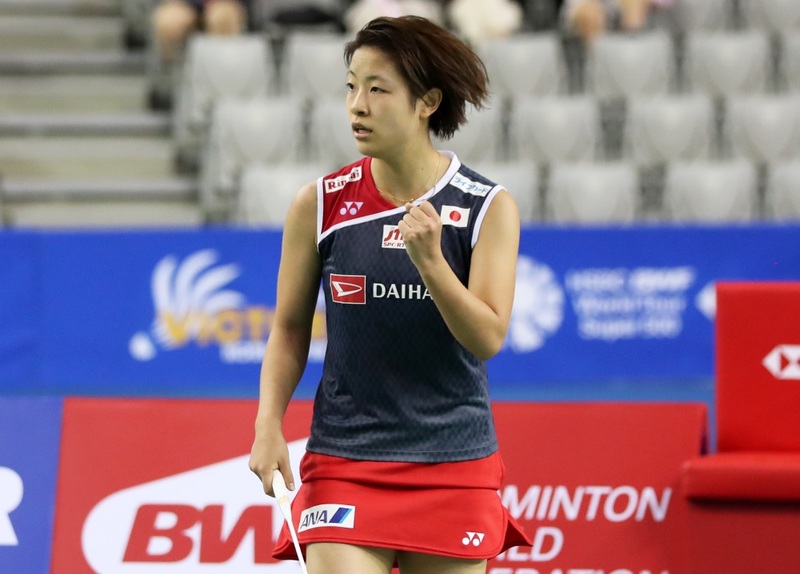 We won as we dominated the attack,” added her partner Takahashi. 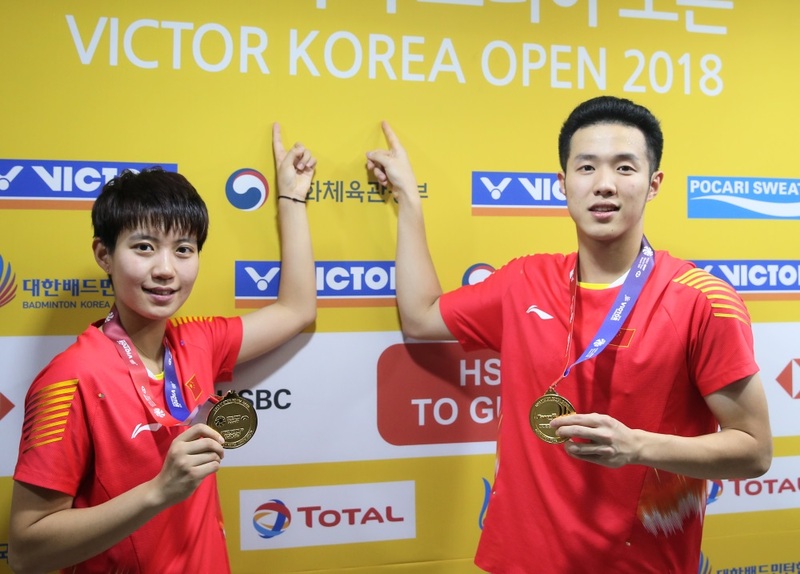 China’s He Jiting and Du Yue won the biggest title of their young career, winning the Mixed Doubles crown over the more experienced Mathias Christiansen and Christinna Pedersen, 21-18 21-16.